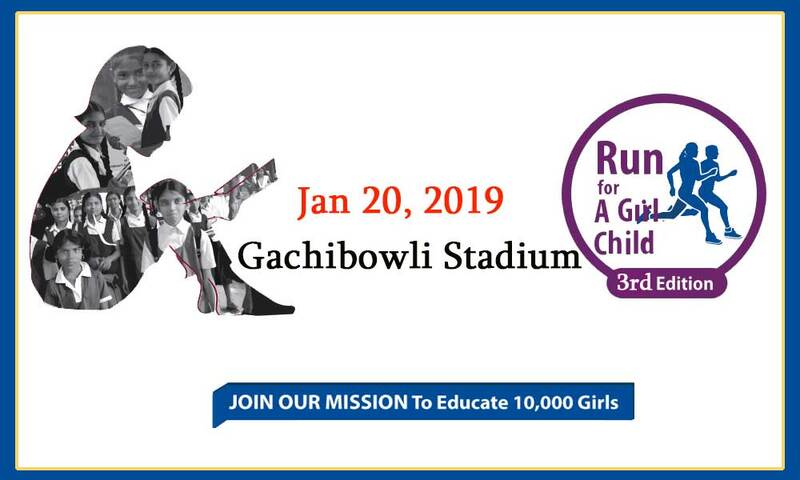 The event, Run for a Girl Child 3rd Edition will be held on 20th January 2019 at Gachibowli Stadium, Telangana. The 3rd edition of the running event “Run for a Girl Child” will live in Gachibowli stadium to support Kishori Vikas - unique initiative of Seva Bharathi, Telangana. Kishori Vikas works for adolescent girl children in slums and low-income groups by mentoring in Education, Healthcare, Self defence, skill development and vocational training. This is the annual fundraising and awareness run. This event will live on 20th January in Hyderabad. Here, the size of a family is usually considered as 2 Adults + 2 Kids. The mission is to empower 10,000 girl children and have footprints in 400 slums by the year 2019 / 2020.